Our custom sublimated pants with full pad integration. Our seven pad style includes knee, thigh, hip and tail bone pads. 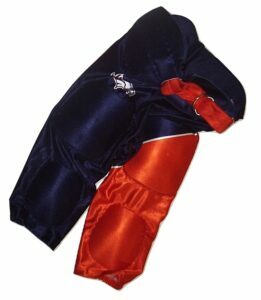 The is a great option for younger teams to eliminate girdles and the worry of missing pads on game day.